Happier kids, and a cleaner Earth… supporting The Crayon Initiative helps two great causes in one. Consider this: A box containing 25 pounds of used crayons can yield enough raw materials to supply 125 hospitalized children with new eight-packs of crayons. Larger collection efforts can bring in as many as 200 pounds of crayons, enough to spread joy and color to over 1,000 kids! 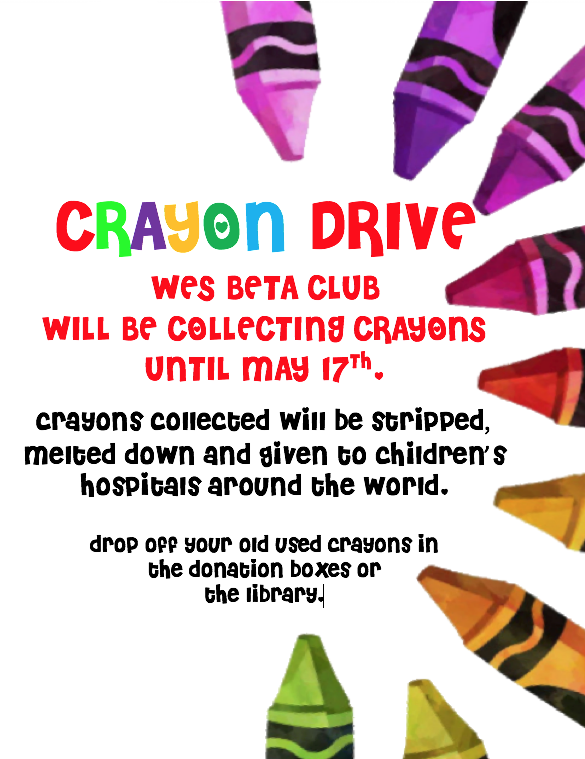 Drop off your old crayons in the library.